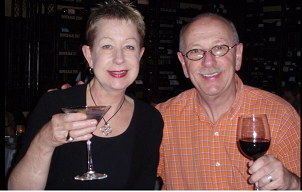 We enjoy Asian Cuisine and are especially fond of Sushi and Sashimi. We had driven by Ling and Louie’s numerous times and decided that we’d better check it out. The décor is very attractive with a Full Bar area to the right, and a Sushi Bar with a unique glass wall waterfall to the rear. You also have the option of dining at tables or booths in the front dining room or overlooking the waterfall. 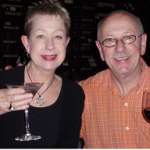 We were seated in a comfortable booth and were quickly greeted by our knowledgeable waiter. The menu is quite extensive with both Asian and American choices. 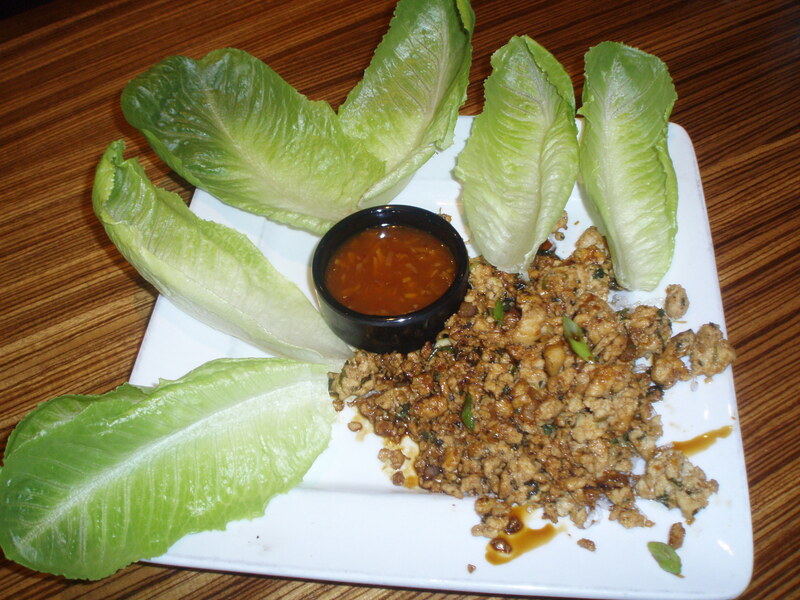 We asked about the appetizers and chose the Lettuce Wraps which consisted of wok’d marinated chicken with water chestnuts and Thai Basil served with a tangy sweet Asian dipping sauce. This was a hearty serving and we particularly enjoyed the interesting texture and the fresh taste. Next, we enjoyed two of their soups. The Miso Soup is the Traditional Japanese soup served in most Asian restaurants. The Long Life Chicken and Rice Soup was excellent and quite unique. It consisted of spicy chicken broth, diced chicken, jasmine rice, cilantro and green onions and was our favorite! As we were already starting to feel full we opted for Sashimi over Sushi. 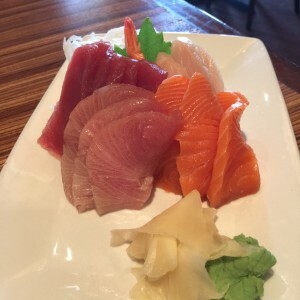 The 15 piece Sashimi Combo assortment was perfect to share. We loved the Ahi Tuna Maguro , White Fish Shiromi , Shrimp Ebi , Salmon Sake and Yellow Tail Tuna Hamachi. All of the fish is flown in daily so it is very fresh! 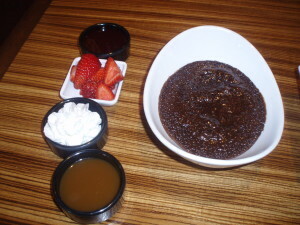 Even though we were quite full, we had to taste their Chocolate Volcano Dessert! Rather than have it the traditional way, we preferred to have it de-constructed with each component/topping separate so we could serve ourselves on individual plates. This Flourless Hot Molten Chocolate Cake was gluten free and actually quite light. We added the vanilla bean ice cream, strawberries, raspberry sauce, chocolate sauce, caramel sauce to taste. This made our dessert course quite a Party! 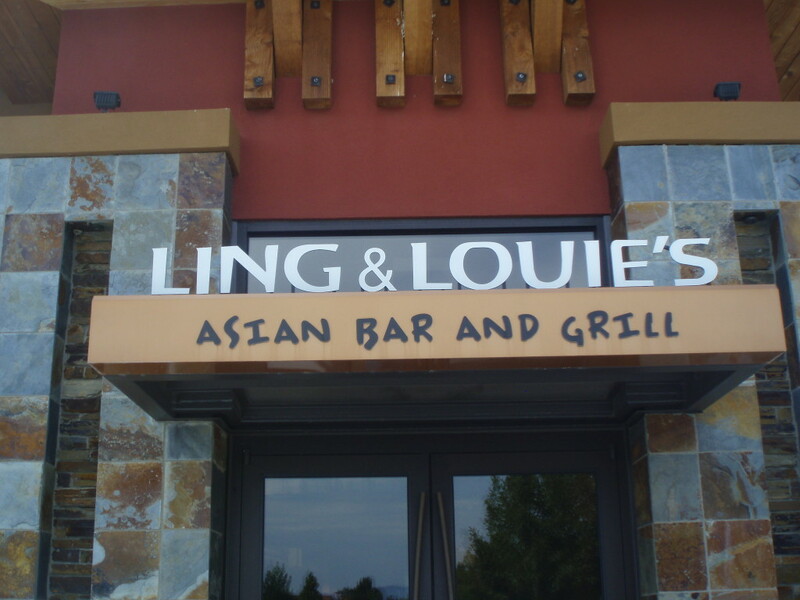 Ling & Louie’s is open daily at 11:00 AM for lunch and dinner. There is a Full Bar with interesting Specialty Cocktails, as well as four types of hand crafted “Mules”. 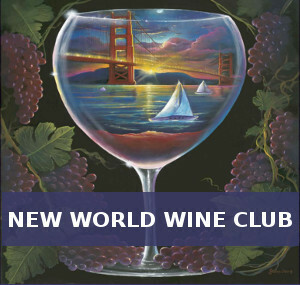 There are two Happy Hours on Monday-Saturday from 3:00 PM-6:00 PM and 9:00 PM- Closing with both Drinks and Appetizer Specials. Ling & Louie’s exceeded our expectations and we look forward to returning soon to try the Sushi and other menu items.